All of our Tefillin are guaranteed to be 100% Kosher. Individually inspected by a qualified Sofer (scribe), computer checked, certified, and sealed. All assembly is done on premises. Price reflects a complete ready-to-wear set; Battim (Housings), Parshiot (Scrolls),Rezuot (straps) and outer plastic protective boxes. A pair of Tefillin consists of a Tefillin Shel Yad which is worn on the hand and a Tefillin Shel Rosh which is worn on the head. Although, they are referred to as a pair, they are not identical. The tefillin Shel Rosh is a box constructed of 4 seperate compartments pressed together to form a perfect square Bayit - housing. These 4 compartments are identifiable by the visible grooves on the exterior of the Bayit Shel Rosh. The scrolls of the 4 Parshiot are written on 4 individual pieces of parchment. Each of these 4 parshiot are placed into their own seperate compartment. 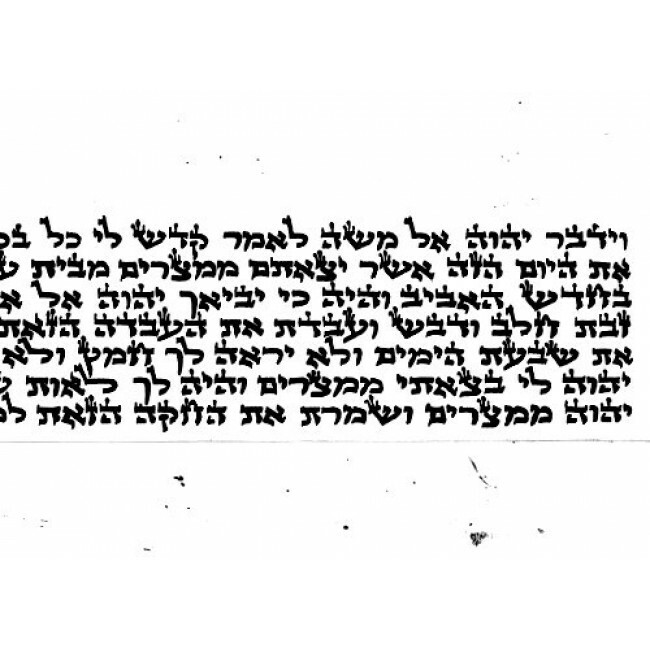 The hebrew letter "shin" adorns the Shel Rosh on the right and left sides of the Bayit. The straps called Rezuot, are fastened through the back base of the Bayit called the "MaBarta". The knot on the Shel Rosh is formed in the shape of the Hebrew letter Dalet. The Tefillin Shel Yad howeve,r is a perfectly square box containing only one compartment. The outside is smooth on all sides. 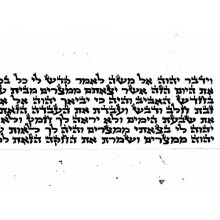 The 4 parshiot are written on one long piece of parchment , which is rolled and placed into the single compartment of the Shel Yad. The long Rezuah strap is fastened through the back base (MaBarta) of the Shel Yad Bayit and knotted in the shape of the hebrew letter yud. Tefillin Gassot are shaped out of one thick piece of cowhide. The Battim are very strong and long lasting. They will retain their shape and squared corners throughout many years of constant use. Even when they become old and worn they can be restored to look as good as new. The Rezuah straps are manufactured under strict Rabbinical supervision from quality cowhide .